Bangalore, October 13, 2018: The two day Coffee Day Malnad Ultra 2018 flagged off successfully from Lalbaug Estate in Chikmagalur in the early hours of October 13, 2018. A remarkable 811 runners from 13 countries and 22 states pan India gathered at the start line for the flag off of the ultramarathon. There were as many as 43 international runners from U.K, Poland, France, U.S.A, Maldives, Germany, Australia, Canada, Belgium, Singapore, Colombia, Japan, and Malaysia who participated in the run with U.S.A having the highest representation of 7 endurance runners. The endurance run also had an incredible number of 143 female runners and also saw participation from people up to 75 years of age. Coffee Day Malnad Ultra is split into three categories – 50km, 80km and 110km. The 80 km and 110 km run flagged off at 6:30 am while the 50 km run begun at 7:00 am. 496 participants (111 females) registered for the 50 km run, 96 participants (17 females) registered for the 80 km run and 229 participants (15 females) registered for the challenging 110 km run. 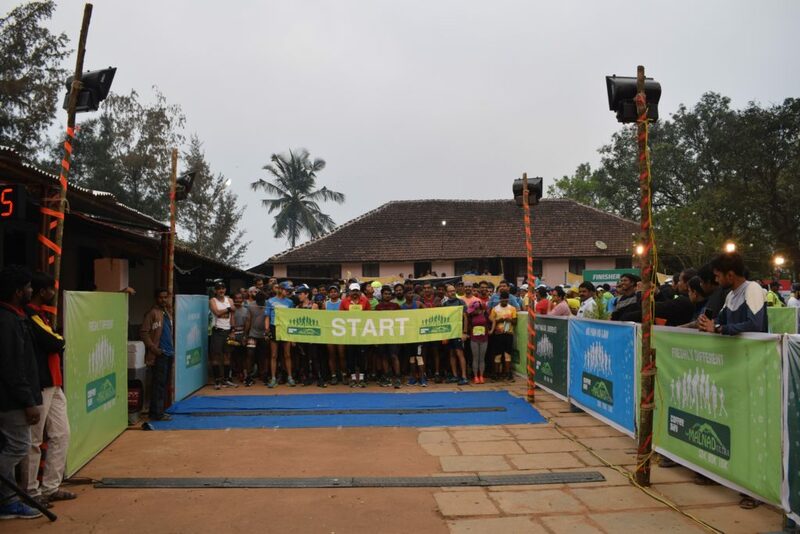 The ultramarathon course will take the runners through the hilly and enchanting terrain of the Western Ghats while offering scenic views of the coffee plantations. The 50 kms and 80 kms run will culminate at 4.30 pm and 9.30 pm respectively on October 13, 2018, while the 110 kms run will end early morning the next day at 6.30 am on October 14, 2018. Malnad is home to a large number of coffee plantations and Coffee Day is an integral part of this region’s coffee tradition. Coffee Day Malnad Ultra is the brand’s vision to reach out to endurance runners across the globe to experience the natural splendor of Malnad that Coffee Day has added to protecting and nurturing over the years. The run is non-intrusive, eco-friendly and designed to bring to focus the indigenous flora and fauna of the beautiful region and showcase India’s wildlife at its best. Coffee Day understands its responsibility of reaching across to a young India that is increasingly aware of creating a sustainable, ecologically balanced environment. The run encourages love for nature and drives home the message of endurance which is very relevant to the Coffee Day group’s young audience.